The last half marathon I ran was in February 2011 and was such an unpleasant experience, I decided to retire from running half marathons. 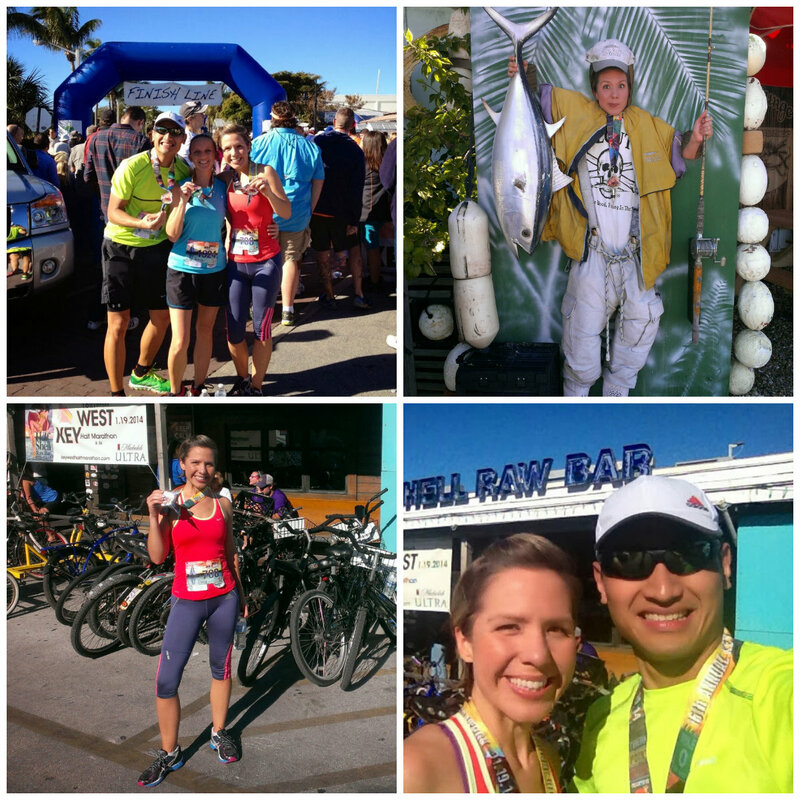 Until, that is, my friend and running buddy, Teresa, mentioned running the Key West Half Marathon. And as so often happens, she was able to talk me into doing something I never had the slightest intention or desire of doing. But I’m so glad she did! 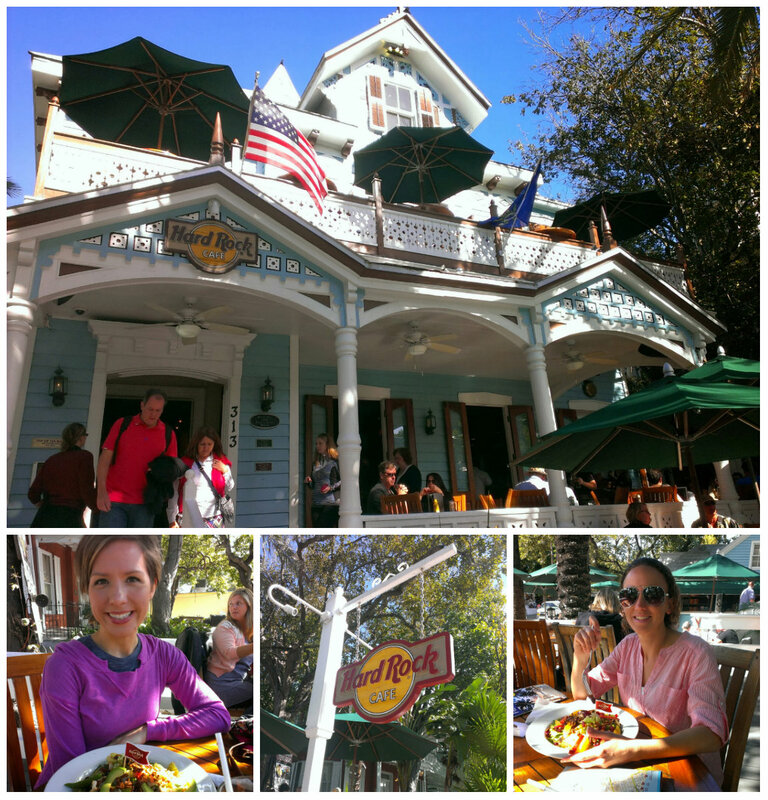 We spent a wonderful three days in the Florida Keys last weekend and accomplished a lot: eating at two more Hard Rock Cafes (only 124 more to go! 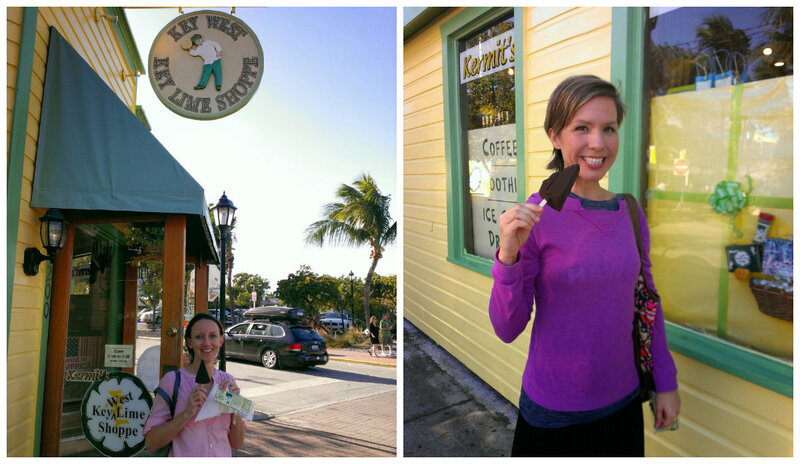 ), exploring Key West, and of course, completing another half marathon. 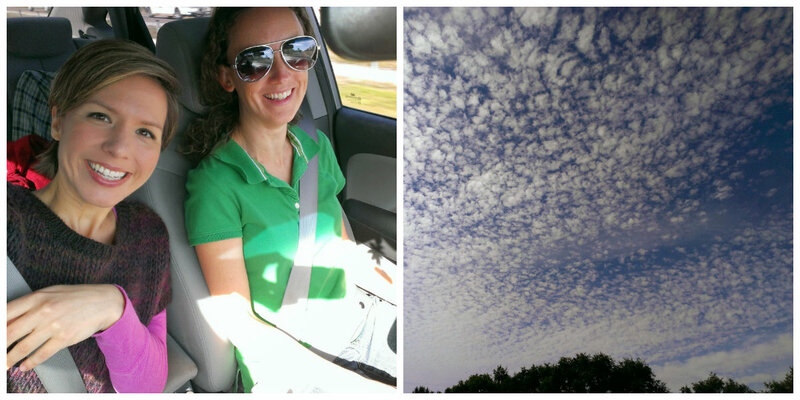 Sunshine and cotton ball clouds – let the road trip begin! We headed out on Friday morning and leisurely made our way south. 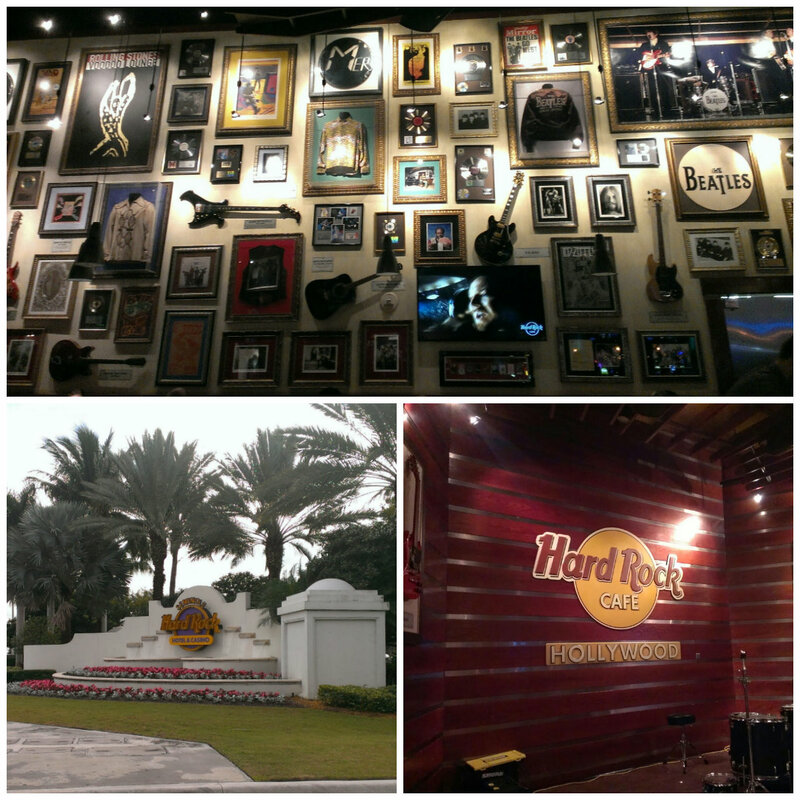 We decided to hit up some more Hard Rock Cafes to bring us closer to our (most likely unattainable) goal of eating at all of the Hard Rock Cafes on the planet. 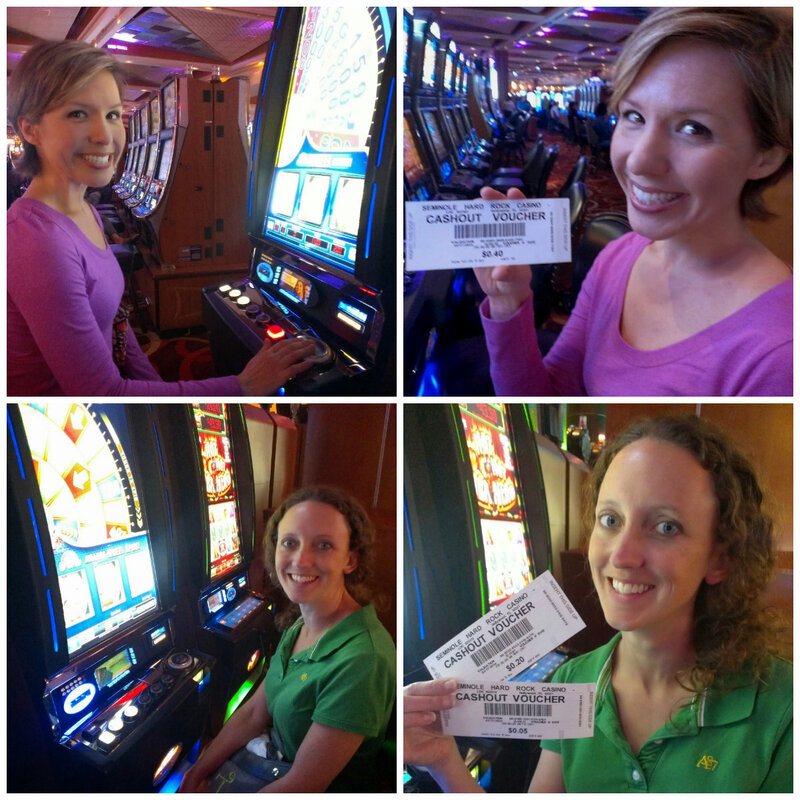 🙂 So we exited the Florida Turnpike in Hollywood to visit the Seminole Hard Rock Cafe & Casino. Let me just be honest here and say that this was probably my least favorite Hard Rock Cafe I’ve been to yet. It’s located in the Hard Rock Hotel/Casino and is really small and also, I’m pretty sure, just there to refuel the many gamblers. After our lunch stop, we pointed our car due south and didn’t stop until we came to Islamorada, one of the islands of the Florida Keys, and also where my Aunt and Uncle live. They had graciously opened up their home to us for the weekend and we were so thankful! 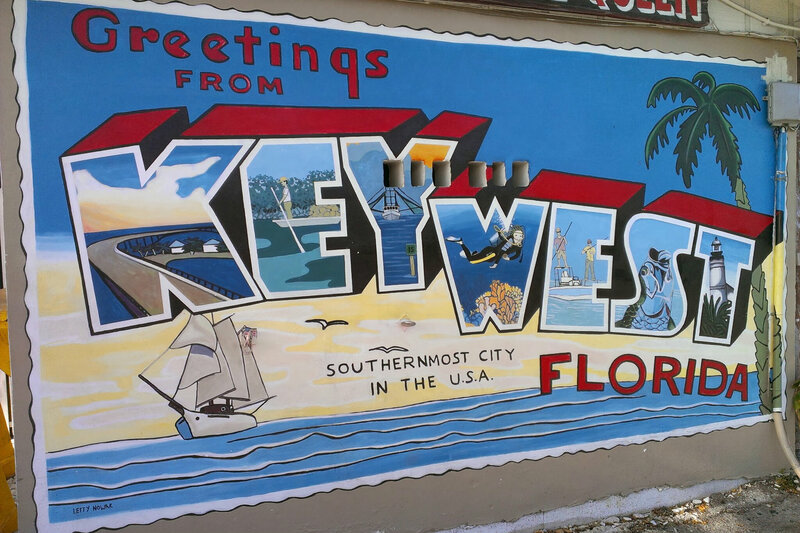 The following day, after a lovely breakfast cooked for us by my Uncle, we hopped back in the car to drive down to Key West. Although it’s only 70 or so miles away, it took us two and a half hours to get there! Traffic does not move fast in the Florida Keys, folks! This one is on Duval Street in the heart of Key West and is the loveliest, quaintest Hard Rock I’ve ever been to! It’s located in an old Victorian home built by Florida’s first millionaire, William Curry. We sat outside on the patio shaded by palm trees and banana trees and thoroughly enjoyed the setting and perfect weather. I really could not get over this place – it was just so charming! After we finished our meal we went inside and looked around, wishing we could have seen it before it had been turned into a restaurant. Although it appears that they really tried to retain much of the original architecture and layout, I’m sure it’s still not quite the same. 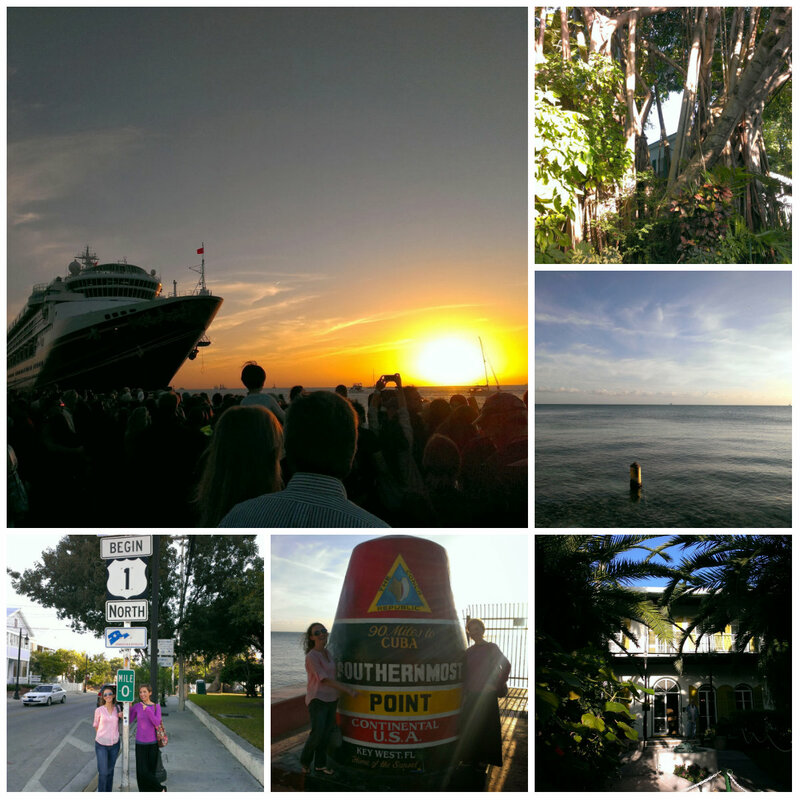 We hit a lot of the Key West “highlights” including Duval Street, Mile “0”, Ernest Hemingway’s house, the Southernmost Point in the U.S., Mallory Square, and all of the banyan trees that Teresa so wanted to swing from à la Tarzan. Oh, and Key Lime Pie. On a stick. Covered in chocolate. The drive back to Islamorada was much quicker and we were at my Aunt and Uncle’s a bit before 9pm and in bed around 10pm. 3:30am wake up calls should be illegal. Seriously. 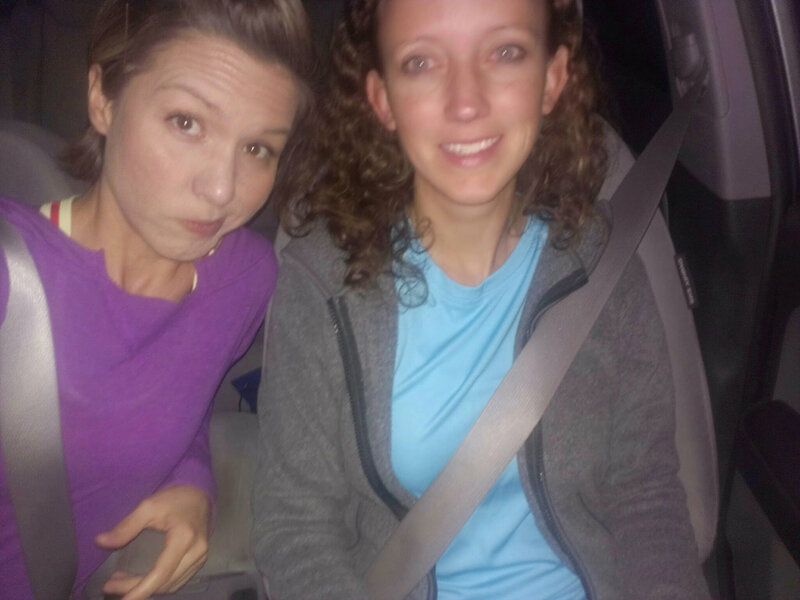 But we got up and at ‘em and were out the door by 4am and heading back to Key West. We picked up my friend, Alfredo, in Marathon where he was staying with his family, and the three of us ate breakfast in the car on the way. It was chilly on this early morning and after arriving near the race start, we stayed in the warm car for a bit before venturing out into the cold. Brrr!!! The half marathon started at 7am sharp! Wow! This race course was the most picturesque I’ve ever run through! We ran through Mallory Square, down Whitehead Street to the Southernmost Point, and along the Atlantic Ocean as the sun rose. So perfect! And what a great race! I was so much better prepared for this one and it ended up being my best half marathon ever! Yay!!! After crossing the finish line, we hung around for a bit cooling down, stretching, and taking pictures. Then we did what anyone in their right mind does after a long race: eat! Teresa and I had spotted a French bakery (my weakness!) the previous day that we thought just might be the congratulatory treat we would need after our run. So that’s where we headed next! Rich, French pastries might not be the best thing to eat on an empty stomach after running 13.1 miles but they were certainly tasty! We drove back to Islamorada from there, parted ways with Alfredo, then Teresa and I drove back to Orlando, reveling in our race success and our new travel memories! All the pictures are awesome, looks like a great time! Thank you! It was such a really fun weekend! I love this, Dena, and thanks for sharing all the pics. So glad you two were able to do this and enjoy the keys! Just don’t ever let Teresa talk you into a marathon! I don’t think you need to worry about that! 🙂 Although I think we would both like to be able to say we’ve run a full marathon, I don’t think either of us are up to the training it would take. I’m good with sticking with the halfs!